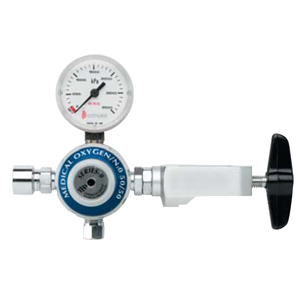 The Series-O regulator has been the industry leader for regulators in Australia for years. 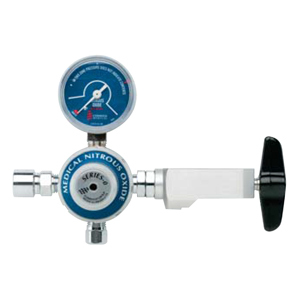 The simple but effective design and ease of use make this single stage regulator a very low maintenance yet high performing product that can be used in a variety of environments. Encapsulated Seat Technology (EST) ensures superior performance, accuracy and resistance to ‘surging’. The large diameter diaphragm gives a performance that is normally only found in double stage regulators. A triple filter system increases the regulator performance by preventing foreign particles from getting in contact with the high pressure gas or the regulator seat. 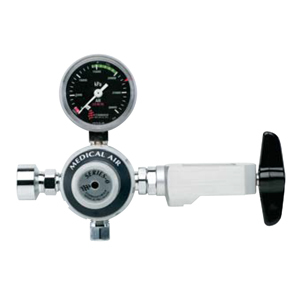 No tools are required to routinely disconnect the regulator from the cylinder valve .A safety relief valve is built in to the regulator to protect staff and patients in the event of high pressure failures.